All of those who are involved in a Real Estate transaction have very specific termite and pest control requirements, and have created longstanding, trustworthy relationships with brokers, realtors, loan officers, lenders and homeowners. Accurate Termite and Pest Control originally grew and developed its prominent reputation in real estate termite inspection and escrow services. Today, Accurate Termite and Pest Control is a part of thousands of real estate transactions each year for the areas it services including Orange County, Los Angeles, San Diego and surrounding areas. Accurate Termite and Pest Control’s real estate services include wood destroying organism inspections (commonly known as termite or pest inspections), termite control for escrow by local treatment, termite control for escrow by fumigation or tenting, and repairs and replacement of termite or fungus-damaged wood for escrow. Accurate Termite and Pest Control is keenly aware of the escrow process and acts as a partner in the escrow process and performs in such a way as to keep escrow transactions on track or ahead of schedule. Most importantly, thousands of home buyers and their realtor agents choose Accurate Termite and Pest Control because Accurate Termite and Pest Control has consistently provided them with thorough escrow inspection reports and quality work. Accurate Termite and Pest Control stands by its integrity, the accuracy of escrow inspection reports, and quality work it provides. 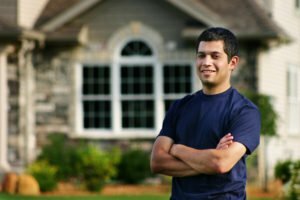 Home buyers can rest assured that there will be no unpleasant surprises when it comes to buying a home professionally inspected and treated by Accurate Termite and Pest Control. Accurate Termite and Pest Control is proud that in nearly two decades of working in real estate escrow transactions, there has never been a time when the company has been cited, fined, or received any kind of punitive action from state or local authorities. Call today and experience Accurate Termite and Pest Control’s hassle-free quality services for your escrow transaction.